Anti-Aging Expertise for men’s skin. 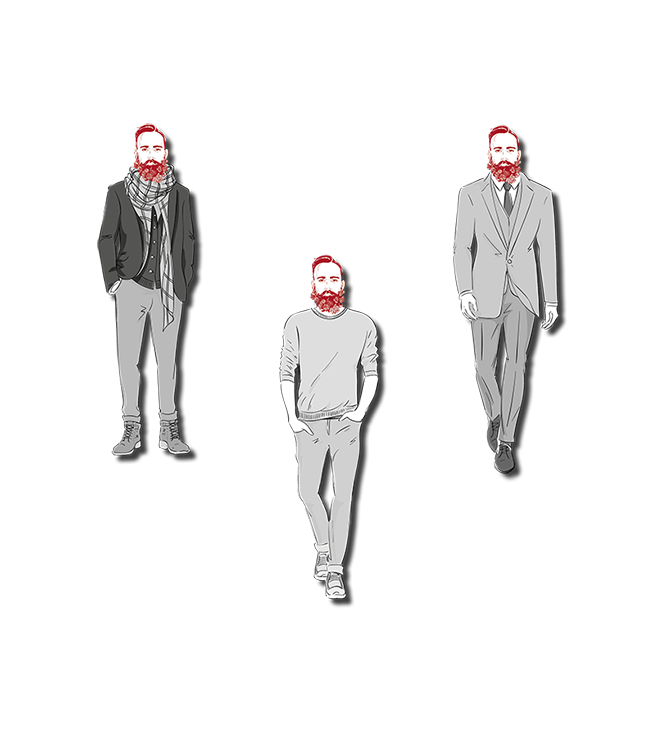 Find out, which products suit best for your type. 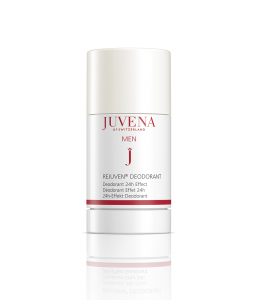 The key component of the Rejuven® Men line is specifically designed to meet the daily needs of men‘s skin to maximize their own energy potential. 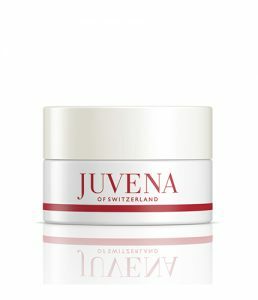 It keeps the skin in its equilibrium and activates the cell functions according to its individual needs. 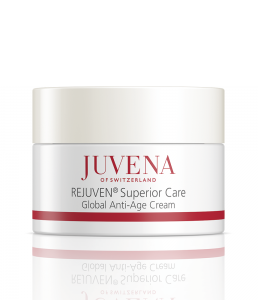 The inner structure of the skin is constantly stabilized for a youthful appearance in every age phase. Kombuchka extract is obtained from a fermented tea drink in a symbiosis with two active microorganisms. This drink, which is also called „elixir of long life“, is still popular today, because, besides its fresh taste, it is attributed to an energy-donating effect. The name Kombucha comes from the Japanese terms CHA for tea and KOMBU, a dried brown algae used in Japan to make a tea. Also in Russia, Manchuria and Bohemia, Kombucha has a long tradition as a vitalising drink. 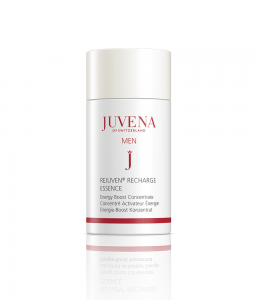 Kombuchka extract is a true fountain for the men‘s skin because it reduces glycation reactions in the skin by up to 79%. This achieving a significant smoothing of the skin. At the same time the skin volume is improved again and the olive-coloured portion in the skin is reduced for a fresh, less pale and tired look. 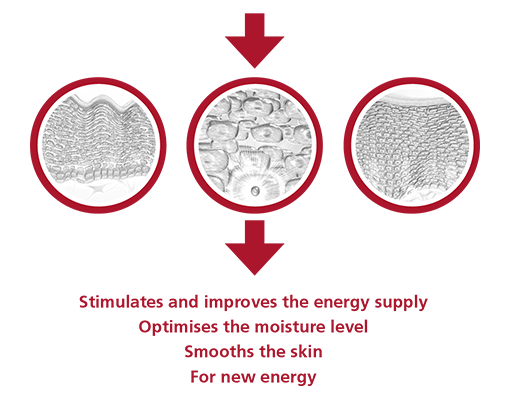 Biotechnological produced. The natural Euglenia Gracilis (pseudo-microalgae), which mostly lives in fresh water, has both plant and animal characteristics. Furthermore it has also a very high survival ability in extreme situations and is able to feed and metabolize in a variety of ways. 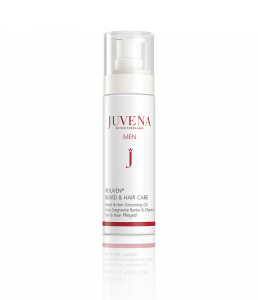 Biotechnologically replicated, this ability is used to stimulate the important metabolic factors of the skin and to strengthen its regenerative abilities. Cell metabolism is activated by stimulating calcium release and increasing the energy budget. 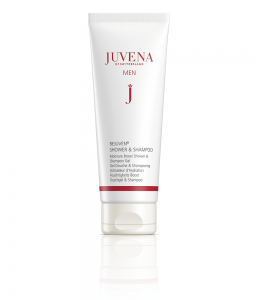 Signs of fatigue are quickly reduced, the skin appears fresher, firmer and gets noticeably more tension. Ionmoist is an active ingredient made from different components, specially developed for men‘s skin and tested according to individual needs. In order to name a few examples – urea for skin relaxation, glucose and calcium for more energy, magnesium to balance and build up and potassium for a plus of moisture and a matte appearance. In a balanced combination of these substances, IONMOIST stimulates the accumulation of moisture in the skin and keeps it stable. 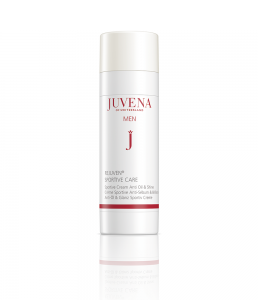 The skin appears visibly smoother and by filling the NMF (Natural Moisture Factor), it becomes more resistant and plump. 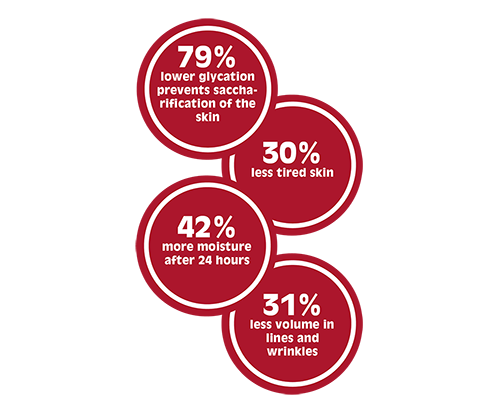 An in-vivo-study demonstrates this severe increase in skin moisture with an immediate effect of + 27.2%, a 24 hour effect of + 42.2% and a 20 day long-term effect of + 53.5%. 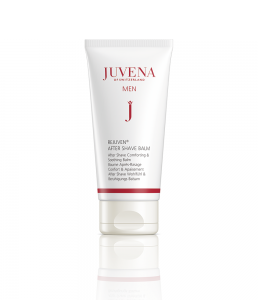 An anti-ageing substance that firms the connection between the epidermis and the dermis, thereby achieving the maximum reduction in the depth and volume of wrinkles and crow’s-feet. 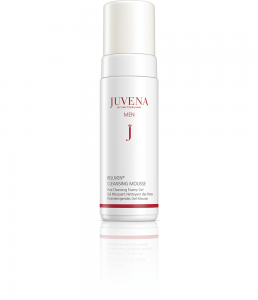 Highly-effective biomimetic lipopeptide that plumps up lines and wrinkles from inside! Applying cosmetics to fill lines and wrinkles from outside is passé. A new generation of filling lines and wrinkles has arrived: filling them from inside with active ingredient-controlled synthesis of the skin’s own components.